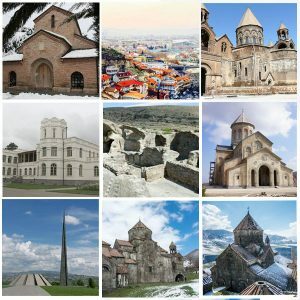 Armenia is the first county in the world to adopt Christianity in 301 AD as a state religion. This is a 6 day / 5 nights pilgrimage tour to the first Christian country and is organized specifically for believers. 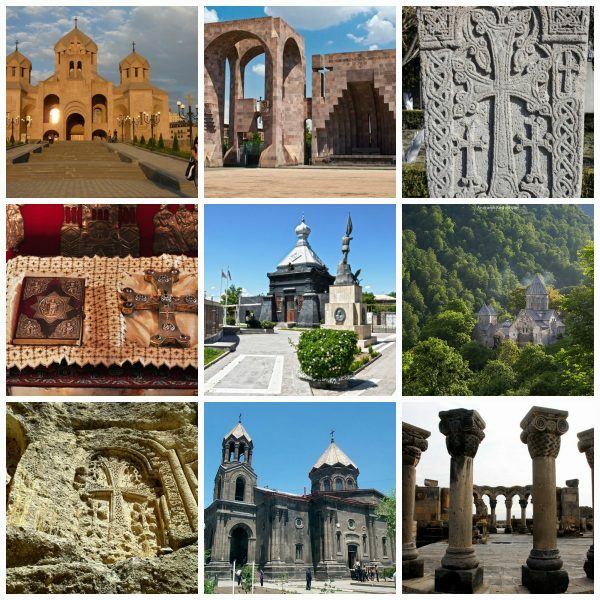 Visit ancient monasteries, UNESCO World heritage sites, and places of worship. Arrival at Zvartnots International Airport. Transfer to hotel. Welcome dinner and meeting with the tour coordinator. 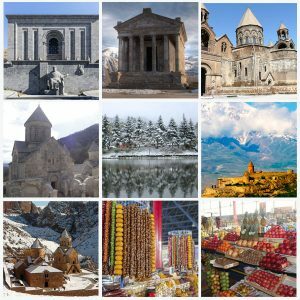 Travel to Khor Virap monastery originally constructed in 642 AD, rebuilt over the centuries and completed in the 17th century. Khor Virap (meaning “deep dungeon”) is a pilgrimage site where Gregory the Iluminator was imprisoned for 13 years. Continue to Areni Wine factory to enjoy wine tasting. Opt for lunch at the newly established restaurant located on the premises of the factory. Then visit 13th century Noravank monastery. Continue to resort town of Jermuk for an overnight stay. 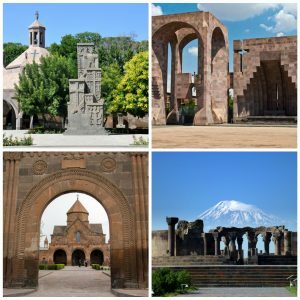 Travel to the city of Echmiadzin to visit UNESCO World heritage sites. Stop at the Echmiadzin Cathedral – the mother church of the Armenian Apostolic Church. Visit the “Treasures of Echmiadzin” Museum in the southeast section of the Cathedral to view the Holy Lance which pierced the side of Christ and the relics of Noah’s Ark among other valuable treasures. Then on to 7th century churches of St.Gayane and St.Hripsime. Have lunch at Machanents cultural tourism and art center. 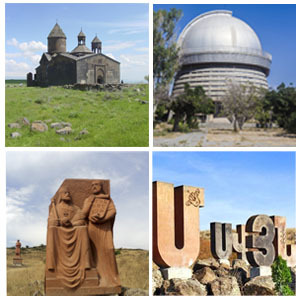 Continue to Zvartnots archeological site – another UNESCO heritage site. Return to Yerevan and visit the Cathedral of St. Gregory the Illuminator. Travel to Aragatsotn province to see the 13th century Saghmosavank Monastery. Continue to the monument of Armenian Alphabet. 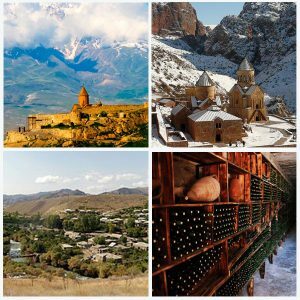 After we travel north to Lori – one of the most picturesque provinces in Armenia. 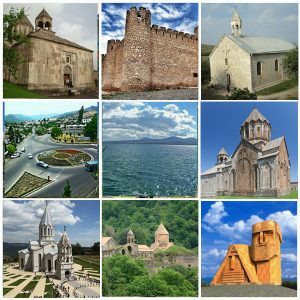 Visit UNESCO heritage sites – the medieval monasteries of Haghpat and Sanahin. Travel to village Garni to see the pagan Temple of Garni – built in the first century AD. 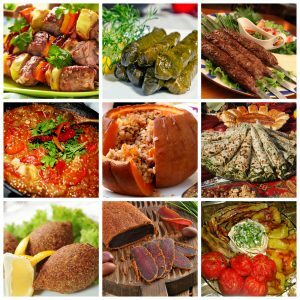 Have a delicious lunch at a local family owned restaurant, and watch the process of baking “lavash” – the Armenian flatbread. Continue to 4th century Geghard monastery complex (the “monastery in the cave”). Return to Yerevan. Free time for shopping. Visiting vernissage, the souvenirs market.